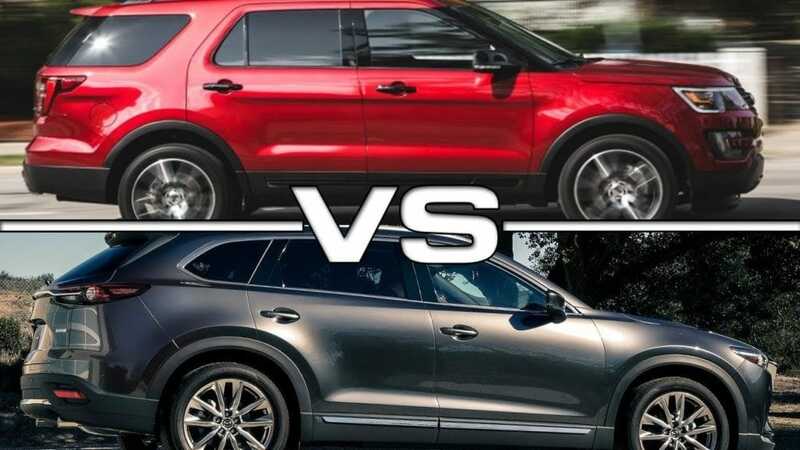 If you’re looking for the perfect sport utility vehicle then stop by Island Mazda in Staten Island, NY to compare the 2017 Mazda CX-5 Vs. 2017 Ford Explorer. The interior of the all-new CX-5 is even quieter than its predecessor. Mazda engineers incorporated unique sound-deadening materials such as sound-insulating glass and extensive seal insulation — resulting in a significant dulling of unwelcome road noise. Conversations are clearer. Engine noise and vibrations are diminished. So whether you’re enjoying the peace and quiet of driving alone, talking with your passengers or enjoying ultra-clear sounds emitted from the available Bose Centerpoint 2 Surround Sound System with AudioPilot 2, your drive is now even more relaxing. Mazda offers newly available Power Liftgate opens and closes at your command with either the available Mazda Advanced Keyless Entry button, or a button located inside the driver’s cabin. Plus, a standard easy-release 40/20/40 split fold-down rear seatback lets you customize seating for five, or accommodates up to 59.6 cubic feet of cargo space. Can a compact SUV so in tune with drivers double as a haven for passengers? It’s possible when you go beyond the predictable. Like providing your guests with ample entrance and exit room, available heated rear seats, rear air conditioning vents, and USB ports in the front and rear center armrests that keep everyone comfortable and connected. The power and driving dynamics of the 2017 Explorer come wrapped in an eye-catching design that boasts authentic comfort and style. And because it was built for our modern active lives, you can also expect an interior space for the kids, the dog, the sports equipment, camping gear and just about everything else you may need on the road to adventure. The unique 20-inch aluminum wheels and grille team with satin-chrome exterior accents for a smart and distinctive look. Three new colors are being added for 2017 – Canyon Ridge, Smoked Quartz Tinted Clearcoat and White Gold.The standard roof rack isn’t just there for show; Explorer was designed to take you on the road and off. There are also available painted front and rear skid plate elements and available LED signature lighting and fog lamps to help you navigate various terrains and all sorts of weather. Stop by Island Mazda in the Staten Island, NY area to test drive the 2017 Mazda CX-5 Vs. 2017 Ford Explorer.